Cantino planisphere, 1502. Earliest surviving chart showing the explorations of Columbus to Central America, Corte-Real to Newfoundland, Gama to India and Cabral to Brazil. The necessities of a new age require a radical shift in norms and standards of operation. Frontview operates within the ruins of today, telling the untold histories of the past and looking to the future in an effort to create cohesive and promote new and fundamentally different modes of living. The Decolonial Mapping Toolkit is one such way of reenvisioning our relationships to the world, and revealing the political implications of our visual structures. Maps today are increasingly technological, and mapmaking tools are increasingly in the hands of the Western, capitalist, colonial hegemony. From the so-called “discovery” of the so-called “New World,” to redlining in New York City, to urban planning in the Middle East, to the desecration of forests and the communities that inhabit them, mapping has been an important tool used in the colonial process. It has, for hundreds of years, been a literally top-down way of building the world. It has, in the same amount of time, become more and more ubiquitous, creating a visual apparatus that is structured by way of drones and satellites, and controlled from government offices. From this arises the questions: what would a decolonized map look like? 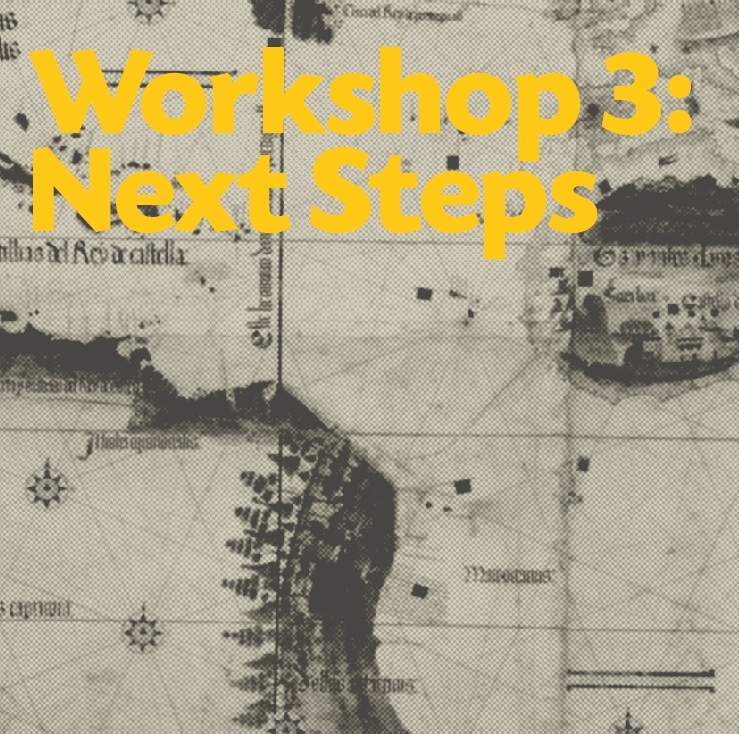 How would radically altering the mapping process benefit the project of decolonization? How would it look like in different regions of the world? Is there a basic set of standards and questions that can be activated collectively to create a decolonized map? The goal of producing and disseminating this set of standards and questions drives The Decolonial Mapping Toolkit project. Through interviews with decolonial thinkers, architects, and theorists; a series of citizen workshops; and, ultimately, a booklet design process; we will produce a first iteration of a Decolonial Mapping Toolkit that will be distributed internationally— for free—and activated by local communities. It is important for us that this process be continuous and iterative. 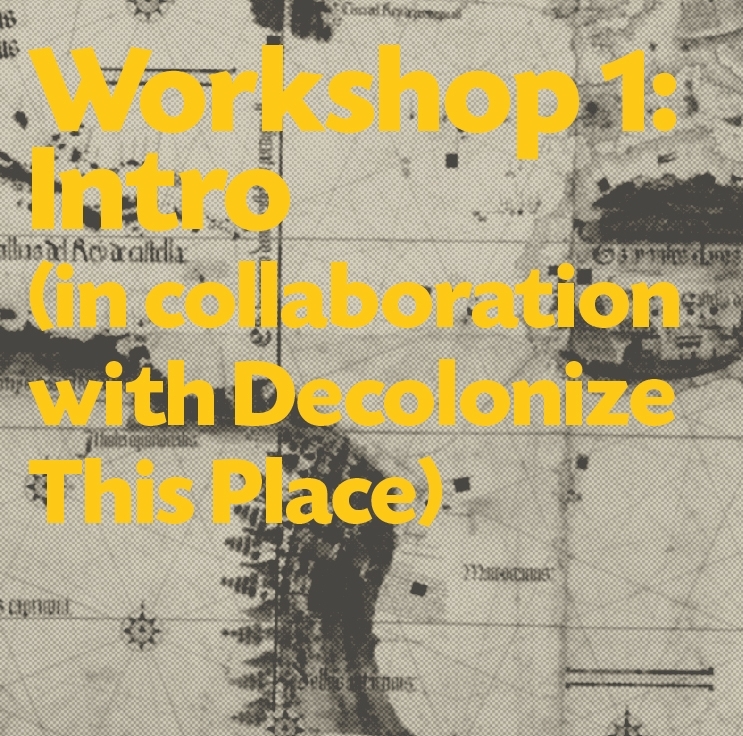 Every workshop/activation of the toolkit to produce a decolonial map will be asked to provide feedback on the toolkit itself, mirroring the continuous and self-critical nature of decolonization at large. Frontview will be recording interviews with activists, thinkers, artists, writers, and other cultural workers in an effort to build a public knowledge base around decolonizing cartography. These interviews will be published as part of Frontview Sessions, Frontview’s media publishing program. Frontview is proud to announce a series of semi-public workshops in January co-organized with visual activist Nicholas Mirzoeff and Decolonize This Place. These workshops will aim to collectively identify and process issues in decolonization, mapping, and activism. Please contact us if you would like to join. From our collective research, we will collaborate with designers, artists, and writers to design and publish the first iteration of the Decolonial Mapping Toolkit. This toolkit will take the shape of a publication to be disseminated online and in print at a sliding scale to be activated by continued decolonial mapping workshops around the world. From each workshop, Frontview will request feedback on the toolkit’s design and content in a continuous effort to be comprehensive, inclusive, and self-critical. Further iterations of the toolkit’s design will be informed by this feedback.